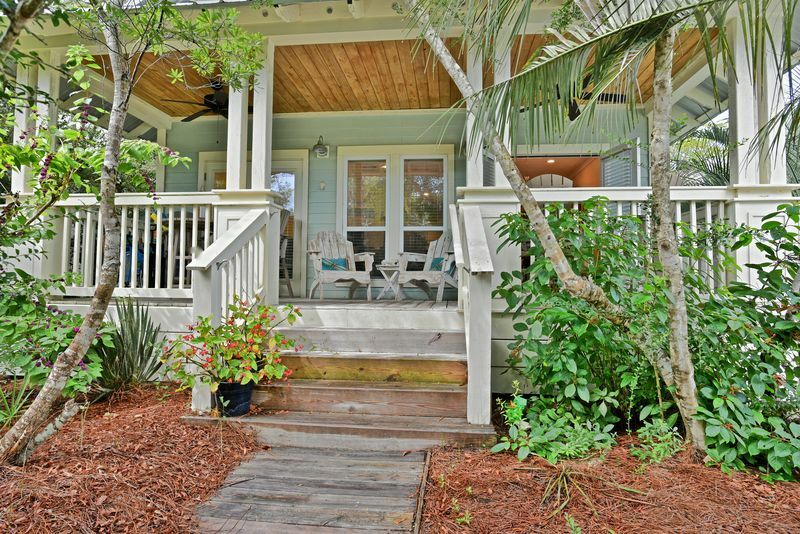 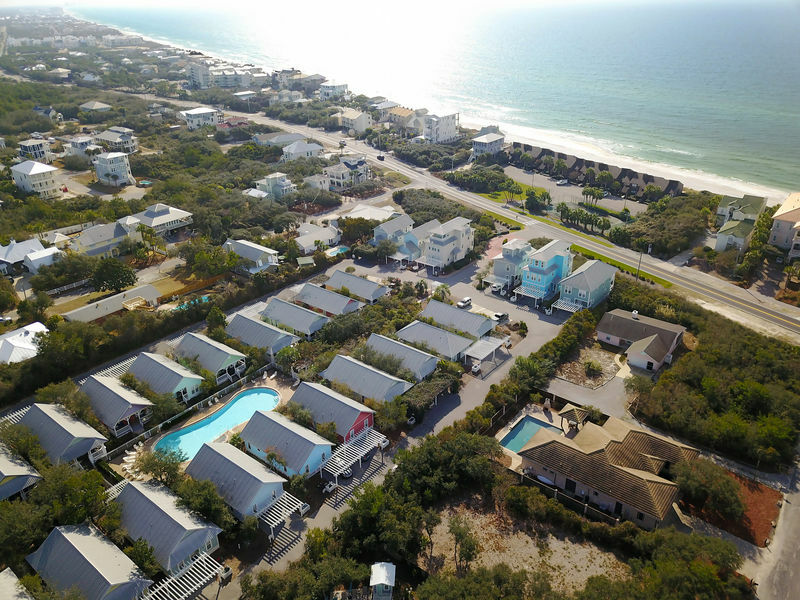 Named after a warm-hearted grandpa who raised his family with love and laughter, “Daddio's Cottage” is the perfect beach haven on 30A! 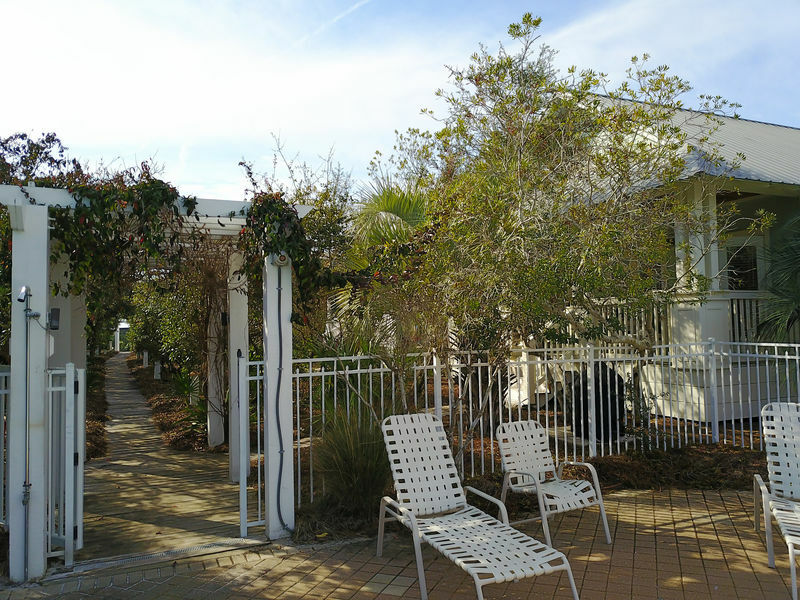 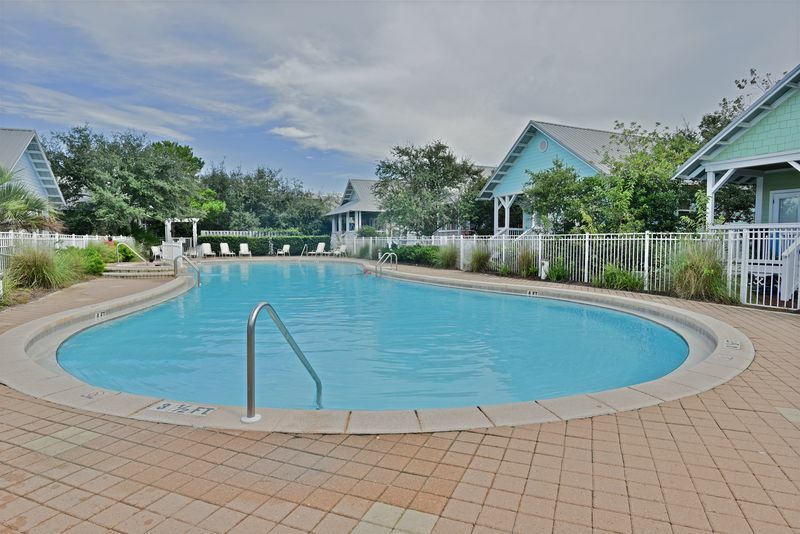 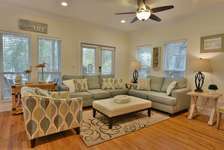 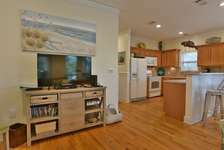 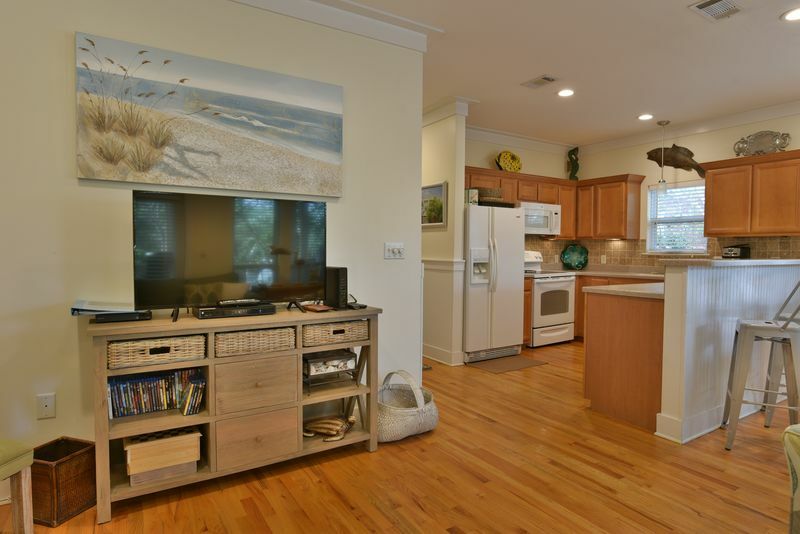 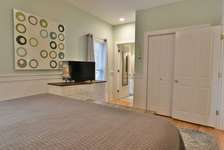 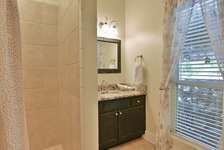 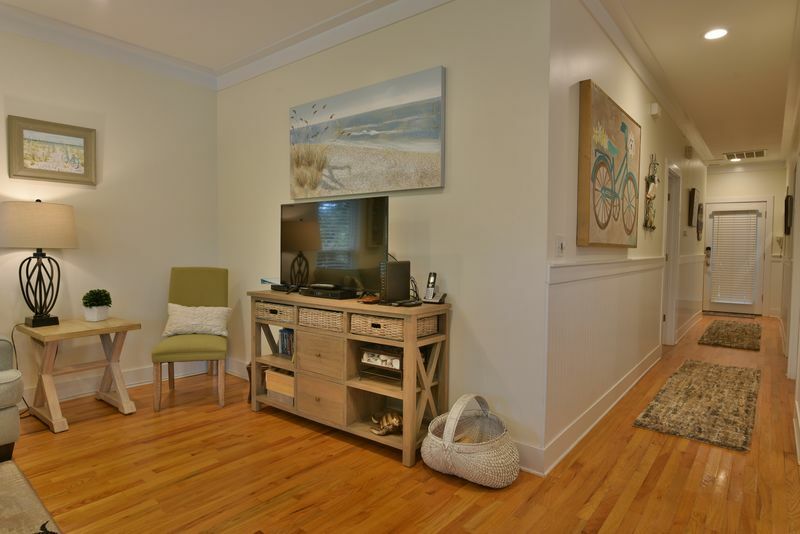 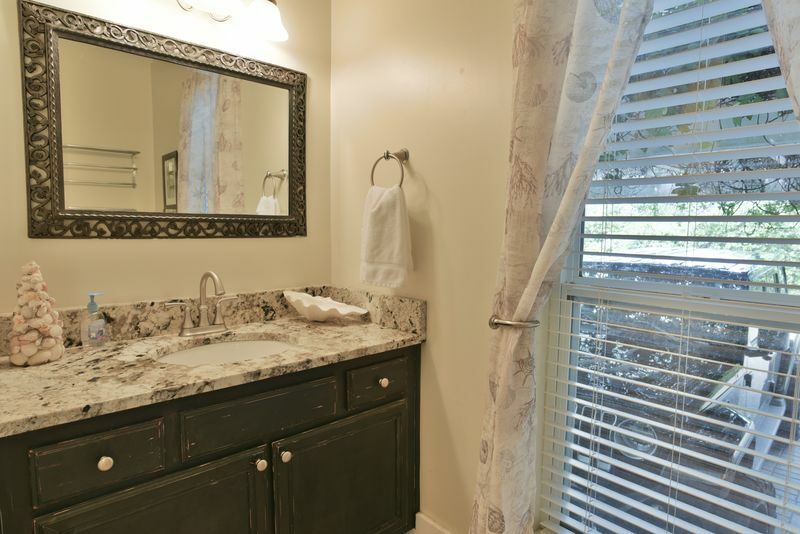 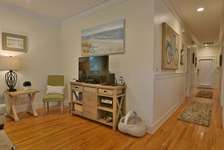 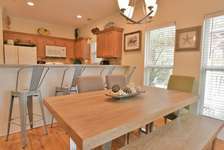 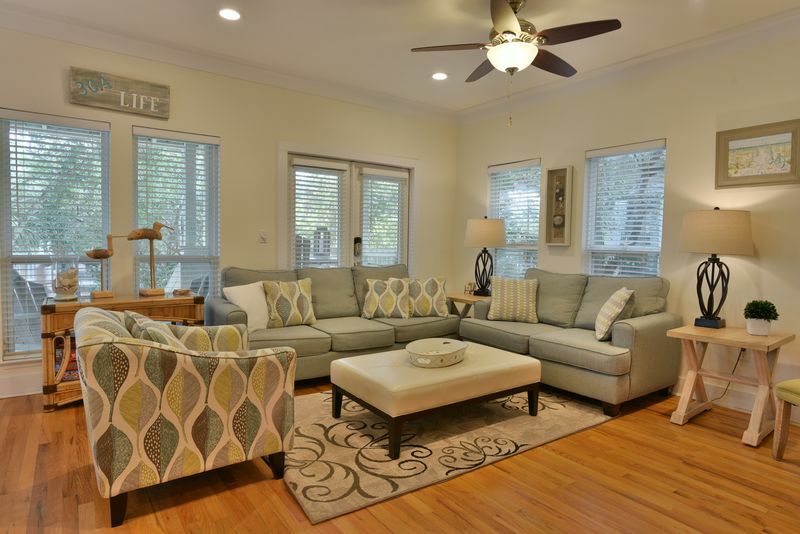 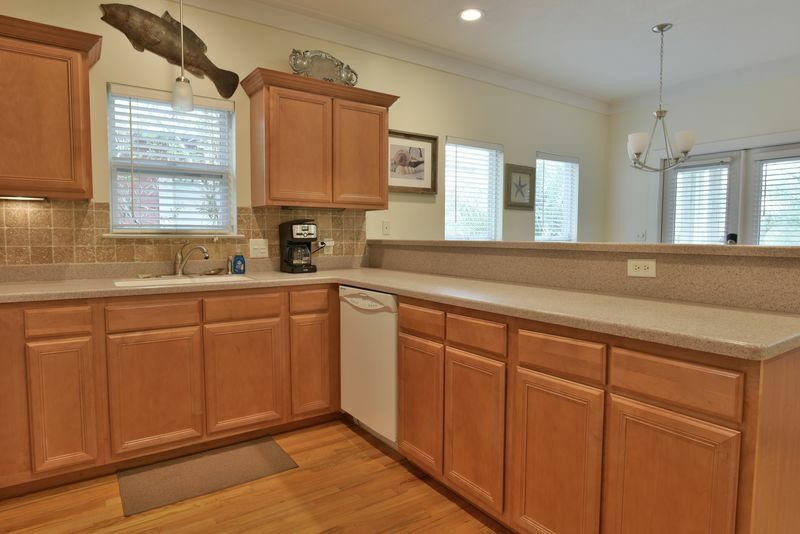 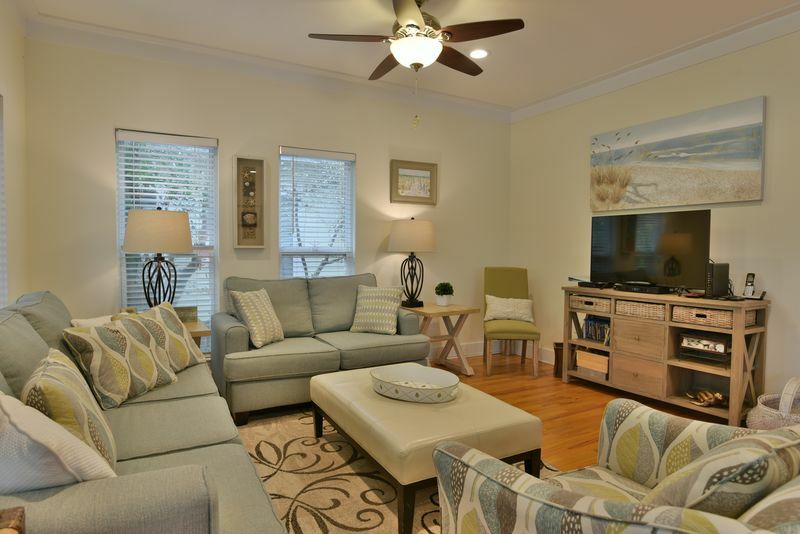 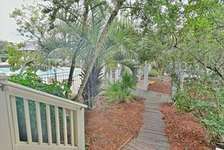 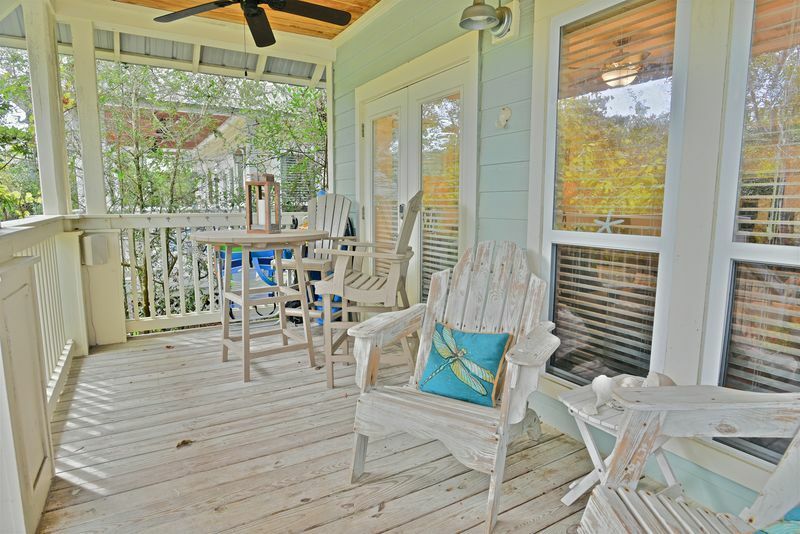 Find a relaxing, natural setting at this charming Old Florida-style single-family 3-bedroom, 2-bath home, ideal for couples and families traveling with kids. 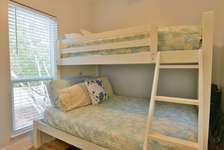 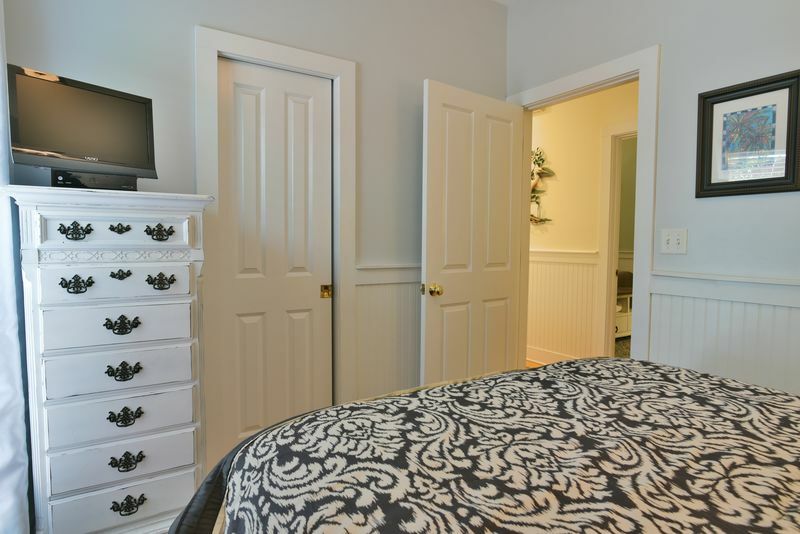 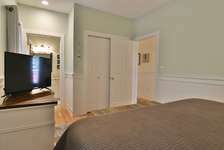 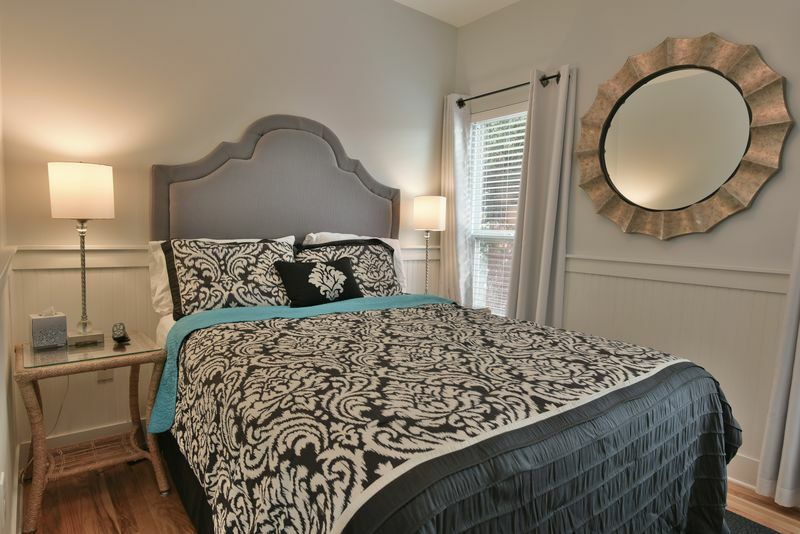 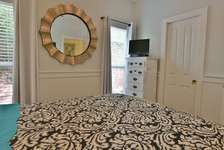 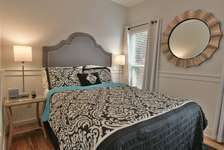 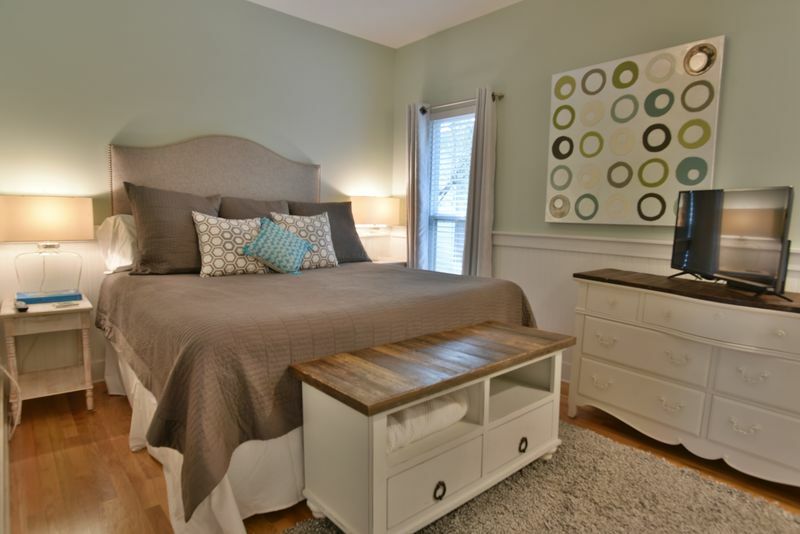 The master suite offers a king bed, while bedroom 2 has a queen bed and the third, a twin-over-full bunk. 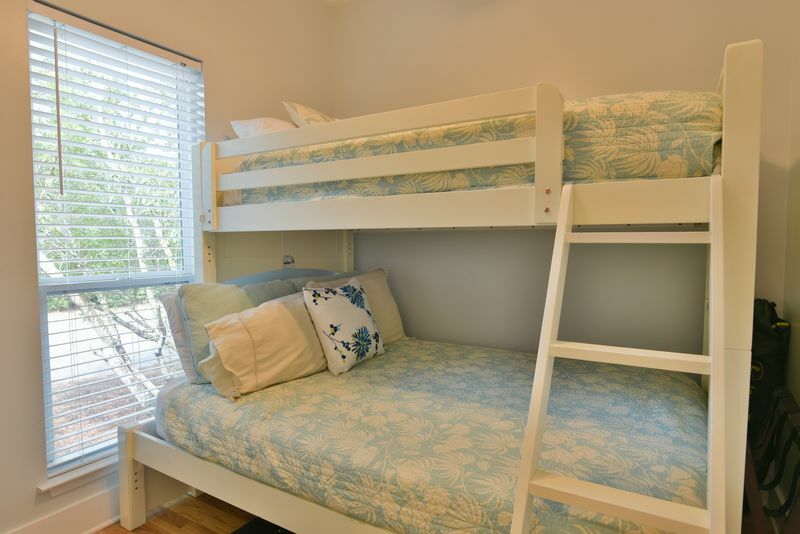 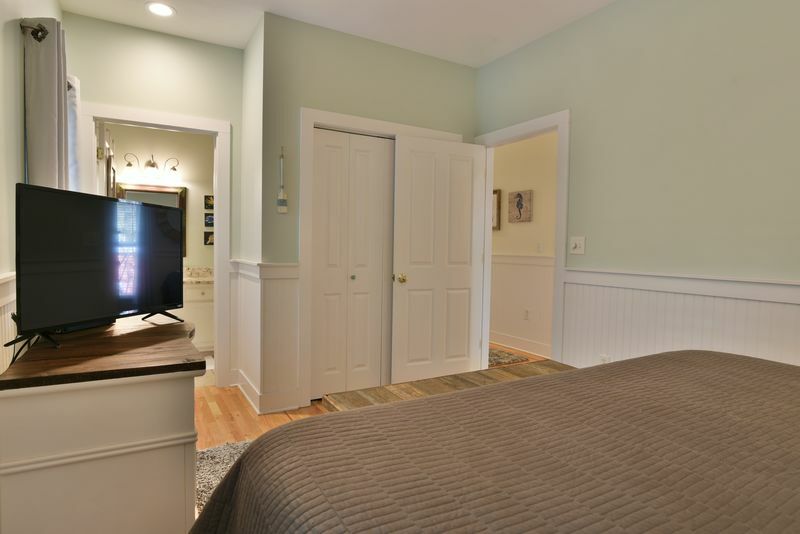 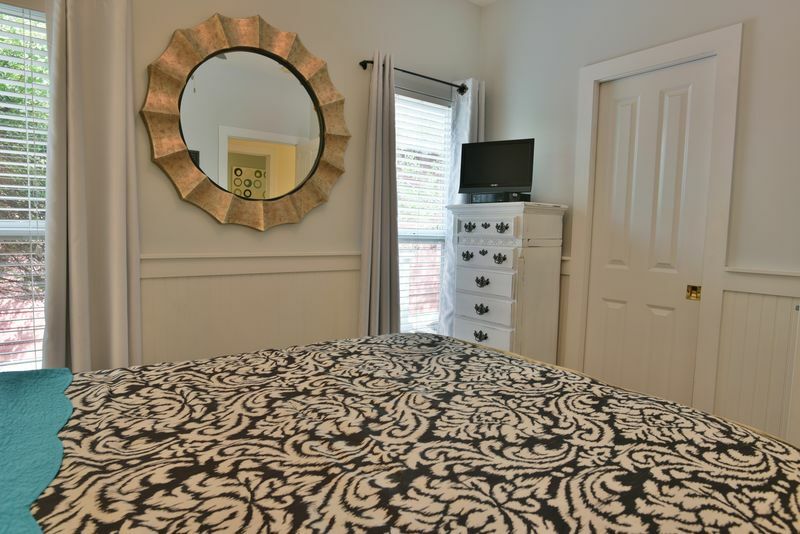 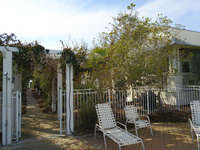 Along with shaded parking for two vehicles at the front door, amenities include new televisions throughout, Hi-Speed Wi-Fi connection, Xbox One gaming system & games, and a pack-n-play. 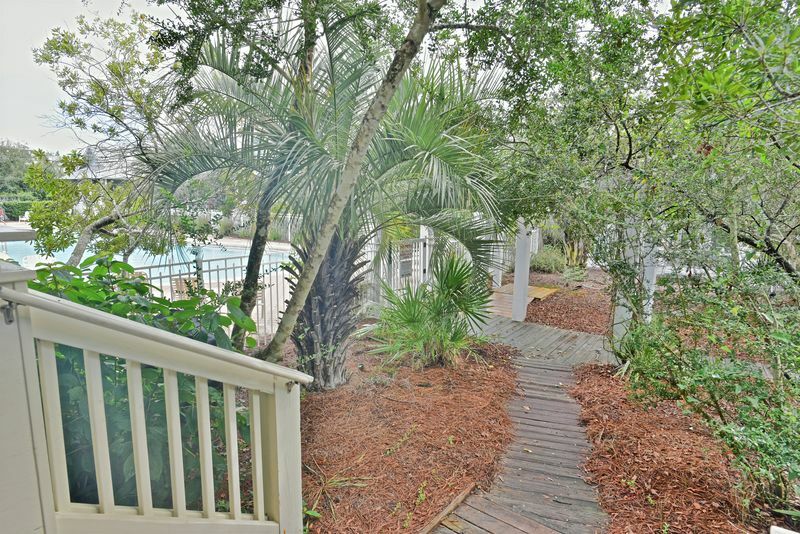 Just outside, the back porch offers a clear view of the quiet swimming pool, which is just steps away. 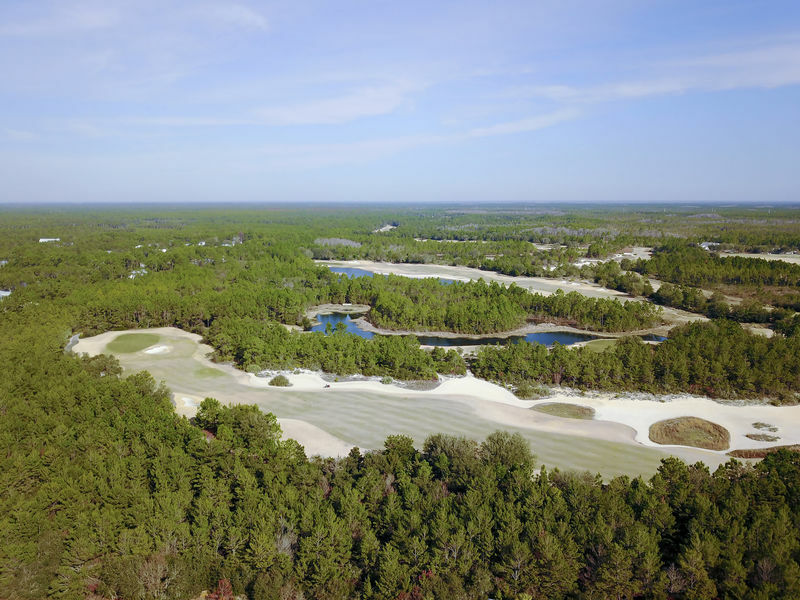 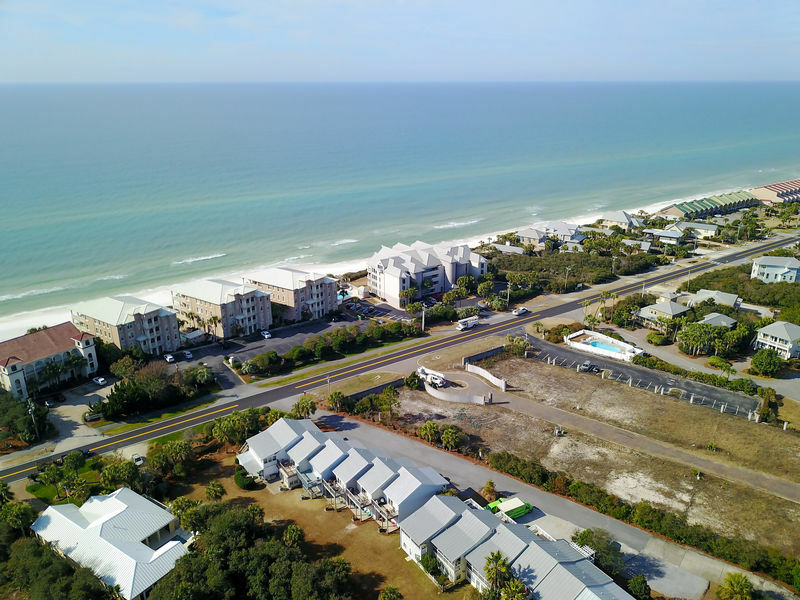 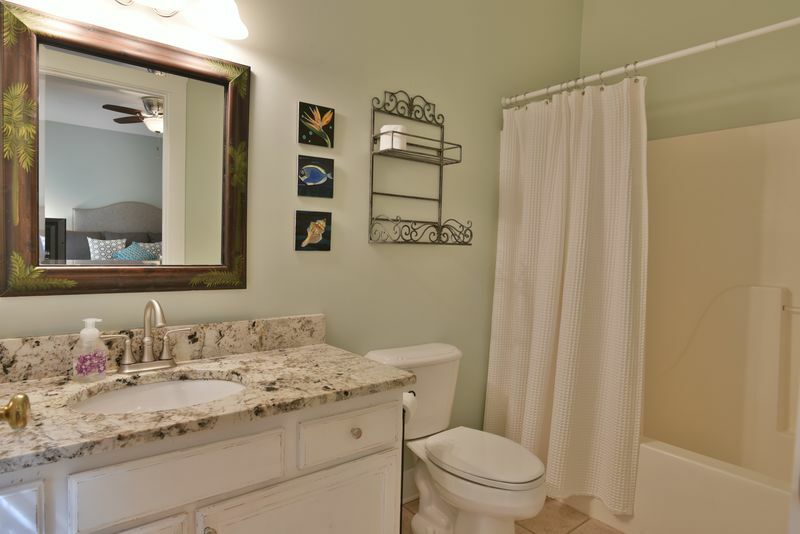 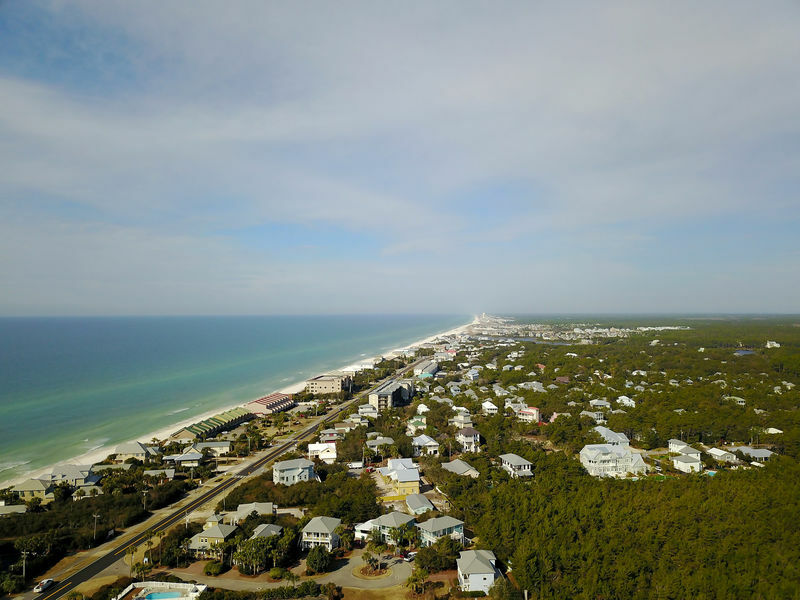 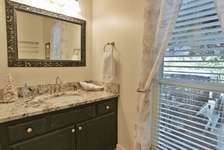 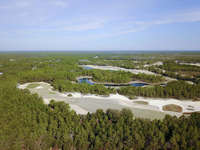 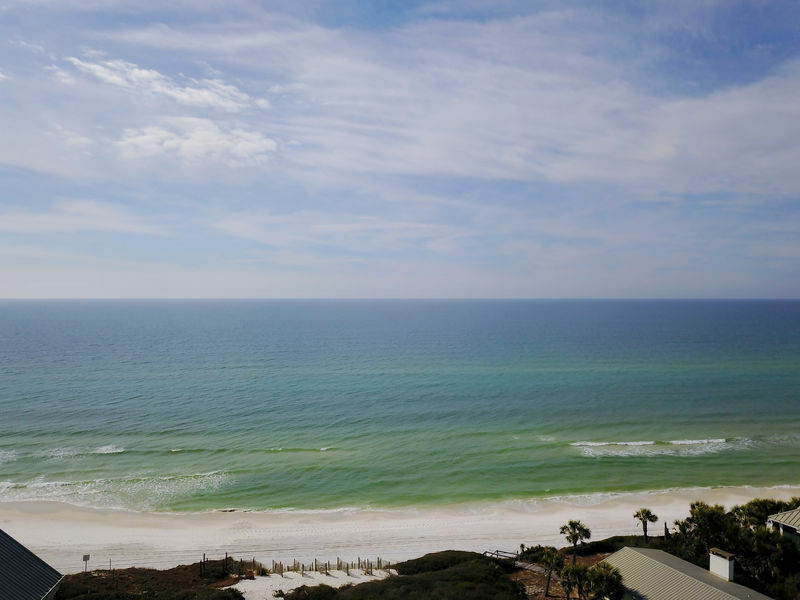 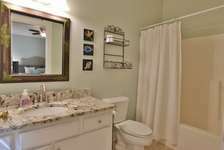 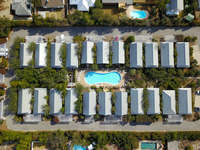 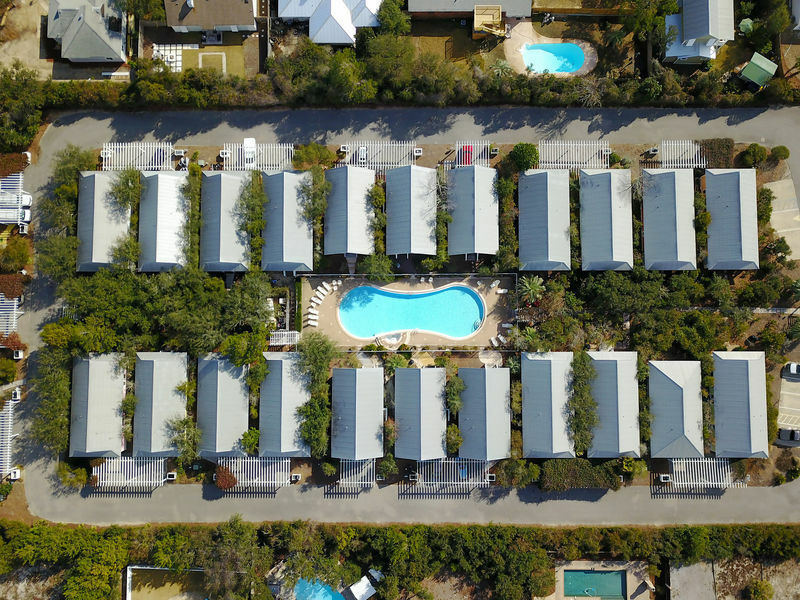 Aside from the world’s most beautiful beaches, the 30A corridor offers everything for everyone. 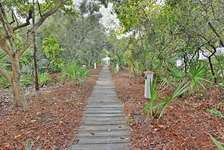 Bike along the 19 mile bike path, otherwise known as the Timpochee Trail, paddleboard on Eastern Lake, or stroll through an array of galleries and boutiques at Alys, Seacrest, and Rosemary Beach. 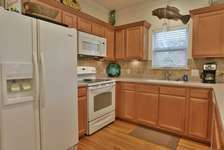 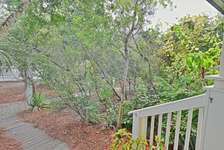 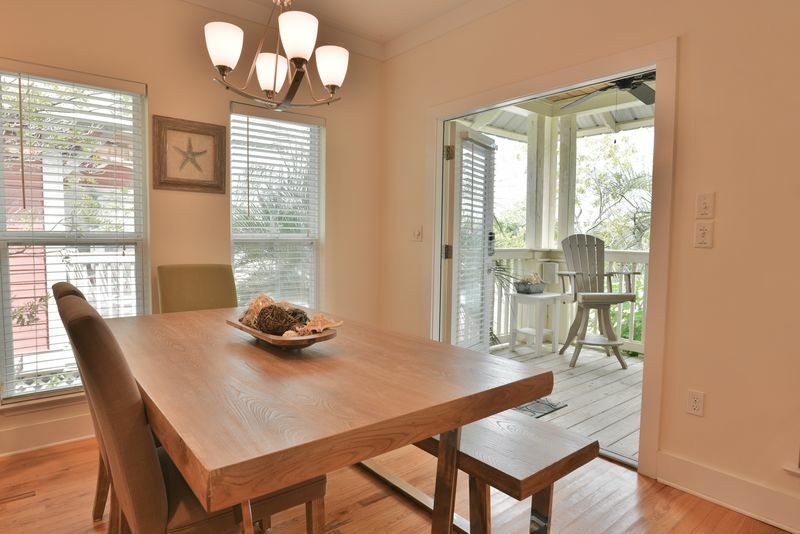 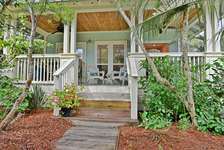 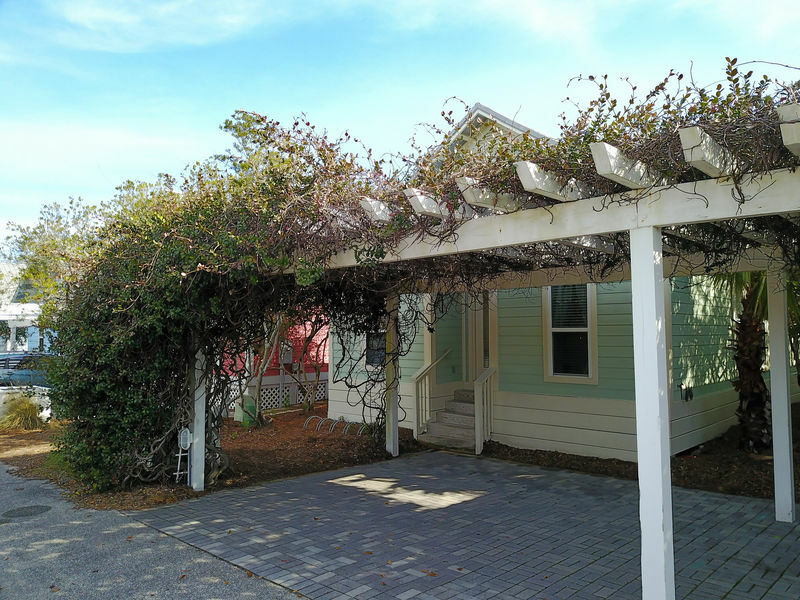 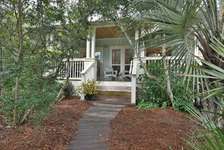 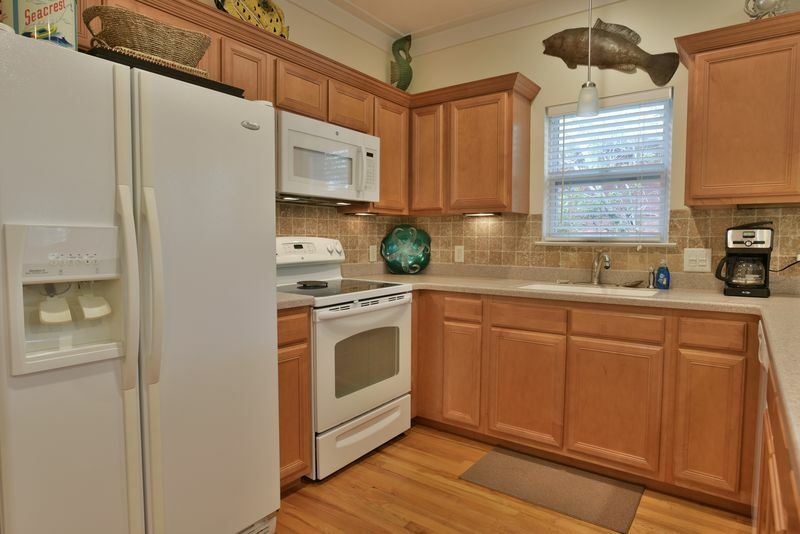 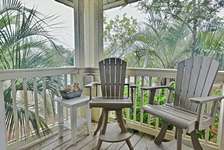 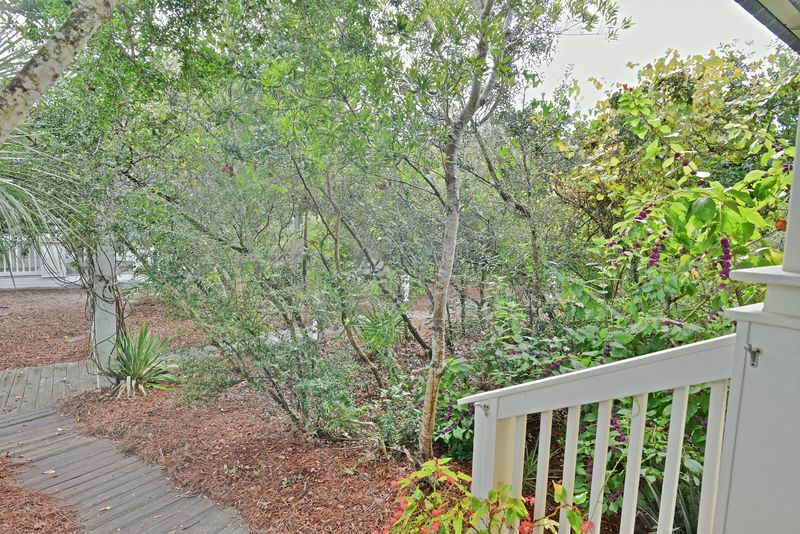 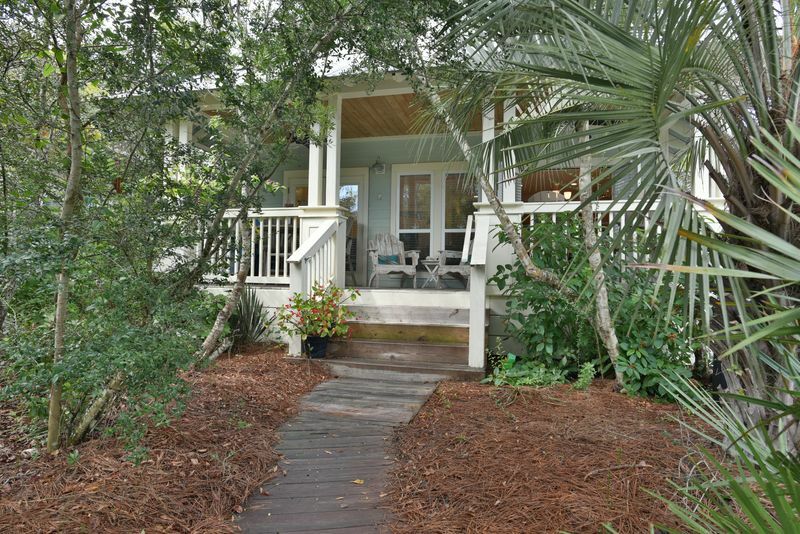 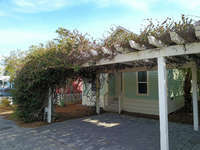 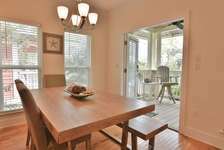 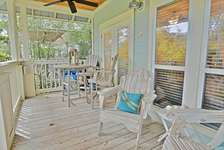 “Daddio’s Cottage" is also convenient to a number of restaurants along the east end of 30A. 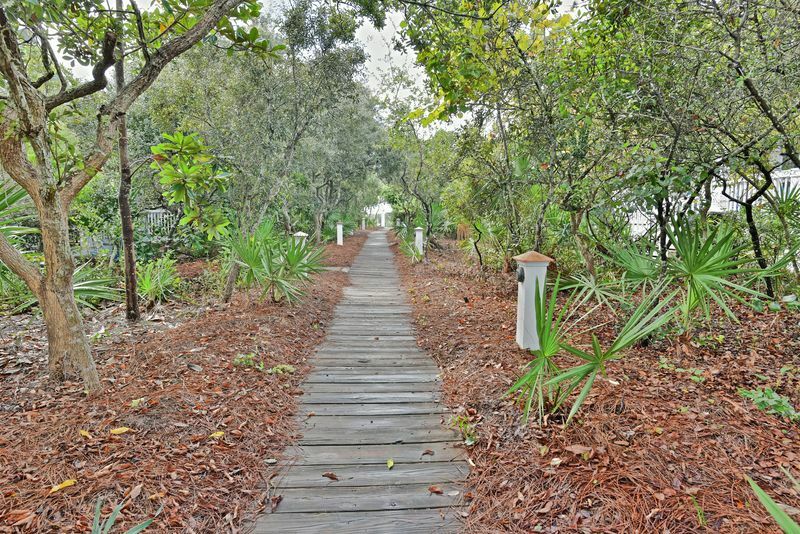 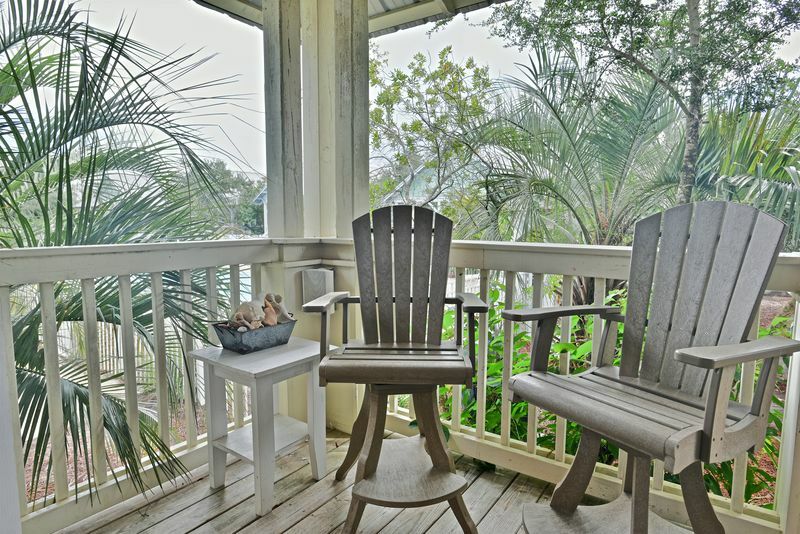 Whether you’re looking for a peaceful, covered back porch to enjoy morning coffee, or a quick walk across the street to the beautiful, sugar-white sand and emerald green waters, you can have it all at Daddio’s Cottage. 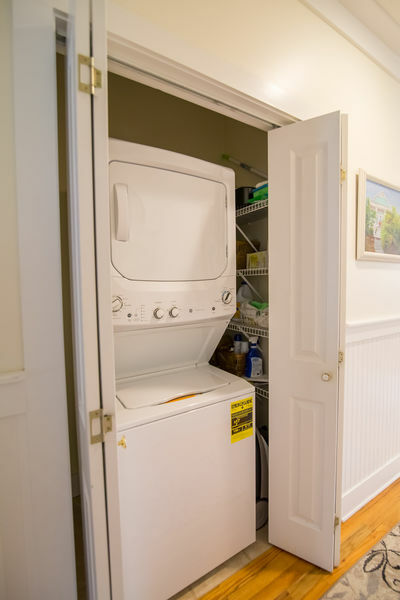 Come on… what are you waiting for? Get cozy and share love and laughter with your own family and friends here at the beach!